What does it take to build a modern marketing team? That’s a question every company should be asking itself right now. Even if you already have a fully-stocked marketing department. Marketing hiring is set to increase by 10% overall by 2026 in the United States (the average growth rate across industries is 7%). Marketing hiring is set to increase by 10% overall by 2026 in the United States. Popular marketing channels are getting more saturated by the day, too. SEO and paid search are getting more competitive. Organic social media reach is on the decline, and as such, competition for social advertising is going up. Some companies are experimenting with direct mail, even if their product is all-digital. This means that success now and in the future requires top talent. The kind of talent that has creativity and foresight to see what’s coming next. But, finding those kinds of marketers has never been easy, and it’s only getting more difficult to recruit top talent. In order to build the team you need, you’ll need to have knowledge and a plan. As you build your team, visualizing each role is important. With a clear org chart, everyone in the organization can know exactly where each team member fits, and how they impact the rest of the department. Grab this free template to map yours out easily. Once your marketing team is up and running, ensuring its success is key. However, keeping teams organized isn’t easy. That’s the problem our Team Management Dashboard in CoSchedule solves. 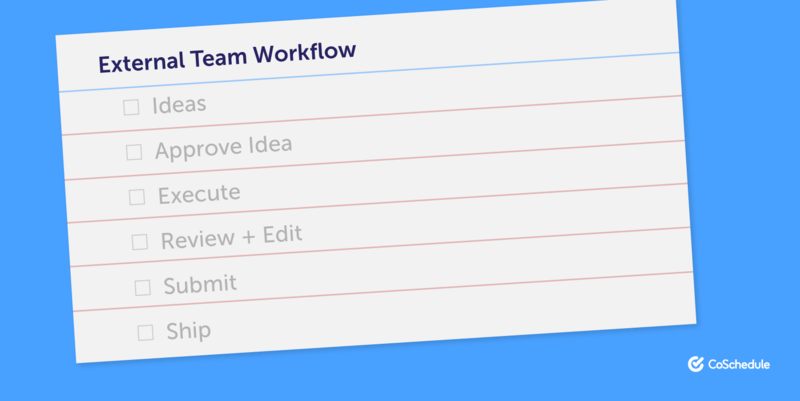 Even if you don’t have a dedicated project manager on your team (and even if you do), it makes managing multiple team members (and all their projects and tasks) easy to do in one place. What is the Role of a Modern Marketing Team? You may expect a complex answer to this question. Marketing exists to drive profitable customer action. Sure, there are other broader business goals that marketing serves. Converting customers into advocates (who tell your story and promote your products). But, in the end, building business and raising revenue is the ultimate purpose of marketing. Is your marketing team organized for success? Here's how to build a successful team. Which Positions Does a Marketing Team Need to Drive Profitable Action? Now, some of these roles are broad. But, what’s more important than job titles are the actual responsibilities and work you need to get done. Writers. Content and copy are essential for practically every area of marketing. Competency with search engine optimization, email, content strategy, and social media marketing are all pluses as well. Designers. If your content and marketing collateral don’t look good, then everything else about it is bad, too. Analysts. Writers should know how to analyze data. Eventually, this may need to become a dedicated position. Project managers. Basic project management skills are useful for all marketers. Once your team reaches a mature level, adding this as a dedicated role may also be advisable. What do marketing teams need when they mature past basic responsibilities and disciplines? Automation specialists. The ability to use platforms like Salesforce and Autopilot effectively is crucial. Demand generation. Beyond just doing content marketing, building demand for your product, or even product category as a whole, is powerful. Marketing operations. This area is becoming a hot buzz term for managing technology, data, and resources. At a high level, it’s a mix of project management and resource allocation. What Resources Do Marketing Teams Need to Succeed? Bureaucratic red tape, budget constraints, and insufficient tools are three common culprits behind why marketing teams struggle (or even outright fail). So, how do you avoid these traps? Sometimes, it’s tough for the C-suite to let go of control over marketing. But, marketers get hired for a reason: they know what they’re doing. Companies should show that they understand this by letting marketers set the direction for their own teams. After all, you probably wouldn’t hire a firefighter to fix your drain, or a landscaper to work on your car. Let marketers do marketing, and let everyone else do what they do best, too. It’s easy to get bogged down in projects that make a marginal impact. It’s also hard to make meaningful progress that way. Spending too much time focusing on low-value activities can often leave teams feeling overly busy and yet unproductive. That’s a toxic combination. Not only does that mean they aren’t delivering everything they could be, no one worth their salt will want to remain in such an environment when they could get hired somewhere else. So, don’t force marketers to waste their time on things that aren’t important. 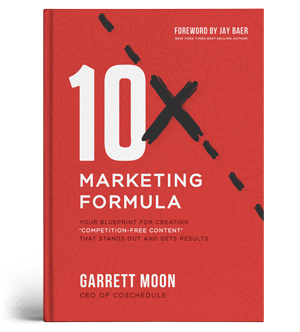 Instead, focus on projects that deliver 10X results. This means activities that can improve a metric tenfold. Stack up enough such projects, and you’ll start to see much more substantial success in less time than before. Don’t force marketers to waste their time on things that aren’t important. Companies often set up marketers with whatever tools and software other departments use. Other times, though, it’s a massive mistake. Marketers do a lot of specialized work that requires specific toolsets. They also have unique needs that generic communication and team management tools can’t adequately meet. What works for, say, software developers to manage tasks and projects, may not be ideal for marketers (even though they might grit their teeth and make it work). There’s also a heavy tendency toward using Excel for tasks that spreadsheets aren’t built to handle. Invest in the right tools for the right jobs. Marketing management platform. CoSchedule solves the issue of “makeshift marketing” (the act of stitching together a martech stack out of disparate tools) by being a single hub where every project starts. Social media management software. There are tons of options out there. CoSchedule integrates with top social networks and WordPress, making it easy to publish and promote content in one place. Email marketing platforms. MailChimp, ActiveCampaign, Constant Contact, and Campaign Monitor integrate with CoSchedule. Analytics tools. Data-driven marketers need more than just Google Analytics to make effective decisions. Collaborative editing suite. G Suite (integrates with CoSchedule) and Microsoft Office 365 are both useful options. Prioritizing Roles: Where Do You Even Start Building a Team? This is no small task (which is why you’re here). But, you’ve to start building somewhere. When every role is important, how do you choose roles for your starting points? Starting with senior-level leadership. This person will know what kind of team they need. Finding someone looking to build from the ground up, in their own vision, could make this an enticing opportunity. Starting with a well-rounded generalist. Someone who can start executing effective work while figuring out what’s needed to take things to the next level. Either can be effective starting points. What Might a Complete Marketing Team Look Like? 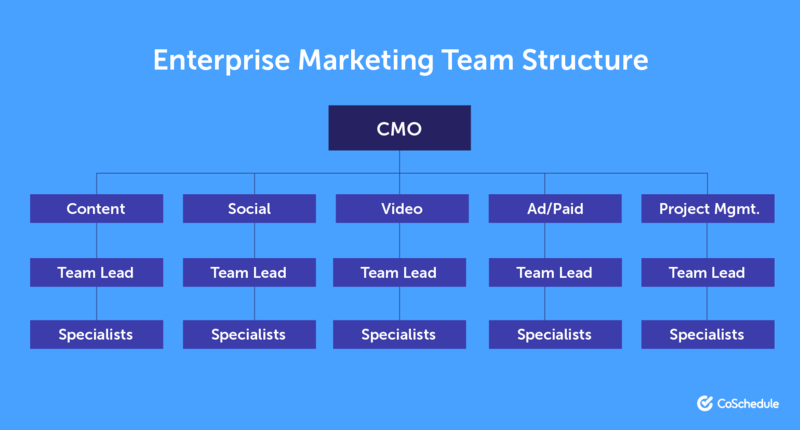 There’s no single way to structure a marketing team. A strong recruiting effort will leave no stone unturned to find the best talent possible to fit your team. Here are several places to consider starting your search. Professional meetup groups, conferences, speaking events, and other public industry events fall into this category. Look for places where your company might be able to set up a booth, or just show up and talk to people. You never know who you might meet. 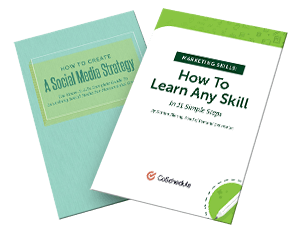 Used strategically, social media can help you track down talented people looking for their next opportunity. I’m [NAME], and I’m the [ROLE] at [COMPANY]. We’re looking to grow our marketing department, and I’m curious if you’re interested in opening up a conversation about what we have to offer? Let me know, it’d be great to grab a coffee when you have an opportunity. Feel free to edit this template. What’s most important is to offer a warm introduction and keep the focus on what you can do for the potential prospect’s career. But, there are some lesser known resources out there to consider, too. Cast a wide net. This author got their first job in the industry thanks to a late-night Craigslist search, and subsequent jobs through networking and cold outreach, so you never know which tactic might yield the best results. Successful interns can often make successful full-time employees. Have your interns shadow full-time staff, let them get some useful experience, and see if they have what it takes to deliver. You might be able to find great fits for marketing roles from other departments in your own company. Now, you don’t want to poach staff or cause tension between your team and others. But, there might be someone in a role where they don’t feel like they’re the best fit. Or, they might have some previous or otherwise relevant experience that would make marketing an ideal area for them to be in. You’ll have competition here, but you’ll also have face time with lots of potential candidates. There’s some investment involved in setting up a booth (printing collateral, developing talking points, and so forth) but the results can be worth the effort, particularly for finding intrepid interns and entry-level talent. Sometimes the best opportunities come from people you know, who know other people. Take a colleague at another company out for coffee. Hit up an old mentor you haven’t heard from in a while. Just put yourself out there and talk to people. You might be surprised where those conversations lead. Some of the best hires you can make might currently be working at your (or your coworkers) former employers. If you like where you’re at (and you know your former coworkers, well, don’t enjoy their current positions so much), then they should be some of the first people you reach out to (so long as you’re not running the risk of burning bridges by poaching people). In order to build the world's best all-in-one marketing management platform, CoSchedule needs to understand how modern blogging teams work. So, the team called, emailed, and Googled its way to understanding. The results are valuable. Marketing teams are diverse, but CoSchedule's research concluded that there are really only two major types of team structures, and then two minor ones that branch off from there. Understanding the strengths and weaknesses of these teams makes a huge difference in how you manage and organize your own writing team. 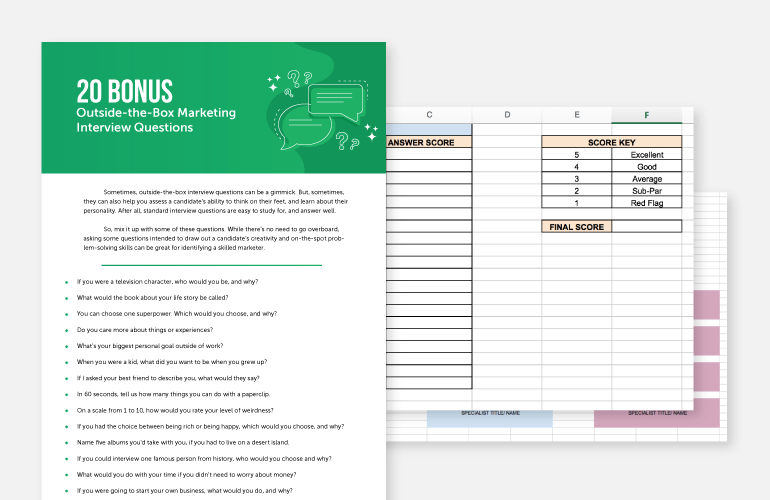 Understanding these structures will help you improve team workflow and communication so that you can ultimately publish more content at a higher quality than ever before. Let's run through the major team structures, highlighting some of the unique needs that they all possess. You'll see how they tie into the way CoSchedule is being built to accommodate what has been discovered. The most familiar type of team is the internal team. 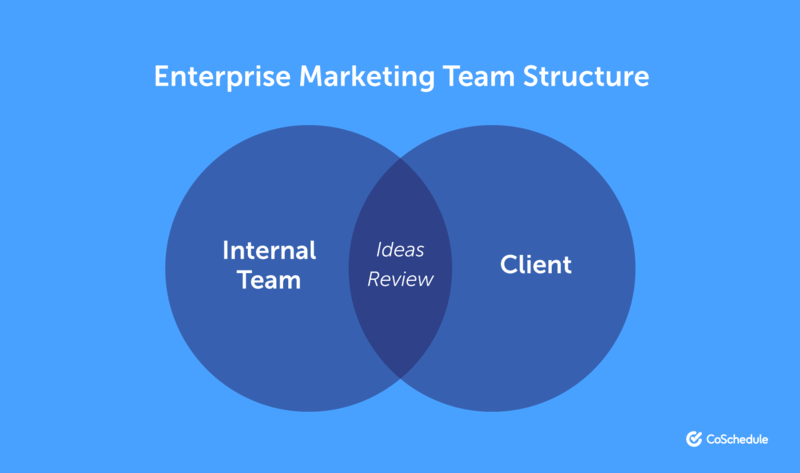 Internal teams are usually defined by an internal self-contained team that handles marketing processes from top to bottom. There are usually several roles, including an editor (or two) and writers. Internal communication is important. Often these teams rely heavily on email, or they employ a wide variety of random tools to "make it happen." These teams are very process-driven and can have difficulty adapting to new methods. Once it works, it works! Writers are often not writers at all, but rather professionals with the right topical knowledge for the job. This may require extra love and care from the editors. They need tools that can adapt to their unique workflow and tend to resist processes enforced by others. Most tools make major assumptions about how teams should be organized and need to work. CoSchedule is making as few assumptions about this as we can, meaning we are hoping to make a flexible tool that can adapt to the unique situations that internal teams bring. We believe that you should be able to use CoSchedule to execute your current (or slightly modified) workflow instead of one that we created and forced on you. The external team is primarily composed of an internal editing staff with many external writers. Unlike the internal team where everything is handled in-house, the external team can be spread out. These teams are usually a "for-profit" venture, meaning they work to make money with their blog rather than simply promote an idea or concept. Communication is always at the top of the list for external teams. They are often spread out, and rarely working at the same time of day. This makes a central point of communication a necessity. External teams often have a wide variety of roles and unique permissions needs. They work to accommodate each external contributor in unique ways. Often they have a fast-paced workflow and tend to move quickly. Today matters most. Editors of external blogs are usually a bit more flexible when it comes to workflow. Because there are more variables, they tend to "roll with the punches" better than others. External blogs are run like a business, and usually quite focused on traffic and revenue. We plan to make CoSchedule the central point of communication for writing teams, meaning that everything about a specific post will be documented and collected in one place. Comments, tasks, and major status changes will be collected in one place for easy organization. Internal communication tools will also help facilitate a clean workflow for the team with a lot of variety. An agency team falls somewhere in-between the internal and external team. It usually contains a small group of internal and editors but adds the external component of client review and editing. Often, clients behave in a somewhat "executive editor" role. There is a combined internal and external workflow with the addition of final client approval. Writing efforts are combined with additional client work, so the process may vary. Strategic planning and mapping is the key to this group. They tend to be more strategy-focused that other teams. The addition of clients will add many unique needs. Processes may vary! 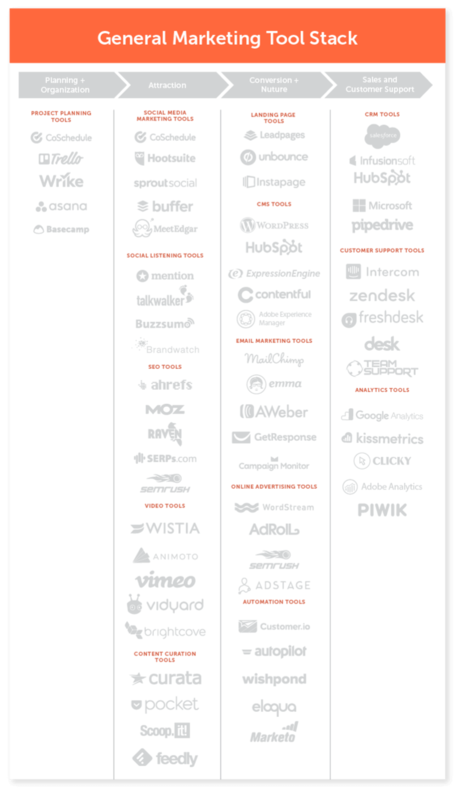 Agencies are often left out of the mix when it comes to online publishing tools. Their unique combination of internal/external teams makes permissions very important, and a huge need that most tools fail to make. 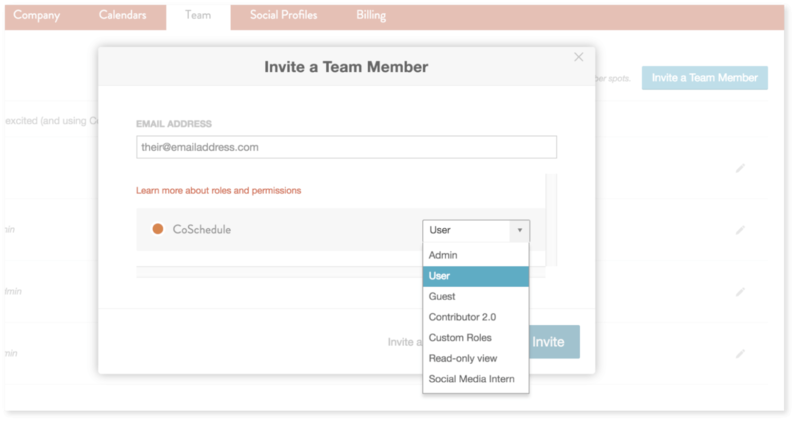 CoSchedule will have cascading permissions that will scale for both internal and client needs. Not to be forgotten is the "solo" blogging team, usually comprised of one or two people with a less structured process. This team offers the greatest variety and the greatest volatility. Many solo bloggers are in it for fun, but may blog for self-promotional purposes, or even some profit. Speed and efficiency are very important to this group. They need to get in and get out. Scheduling needs are fairly basic. They tend to use that calendar as a way to motivate themselves to write. The simple act of planning out your future can help you achieve it. For many solo bloggers, this will be one of the primary benefits of CoSchedule. By plotting a course and sticking to it, solo bloggers should become more successful bloggers. In reality, isn't this what we want for all of our users? So, Where Do You Fit? So, what kind of team are you? Is our description accurate? Maybe you have never really thought about what kind of team you are, but it is actually quite important. Once we understood some of the unique needs that our team had, we were able to diagnose and fix the problems. This makes for better teams, and better blogs, in the long run. 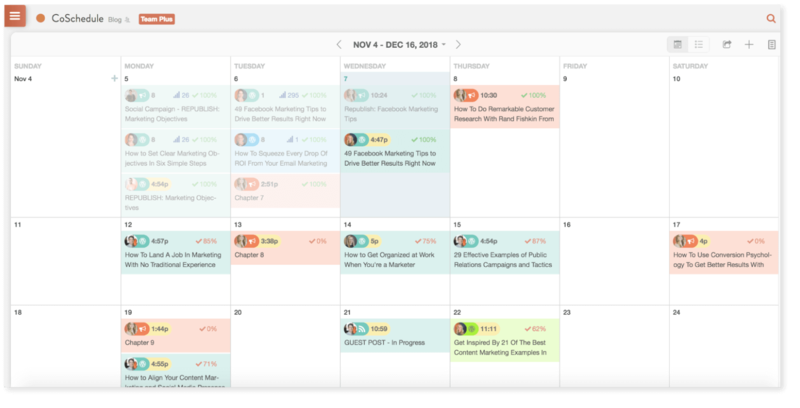 CoSchedule is a marketing management platform that’s purpose-built for collaborative teams. Now is a good time to call attention to the Team Management Dashboard one more time, too. It makes it simple to get a closer look into each individual team member’s workloads. Keeping organized serves the goal of keeping productive. 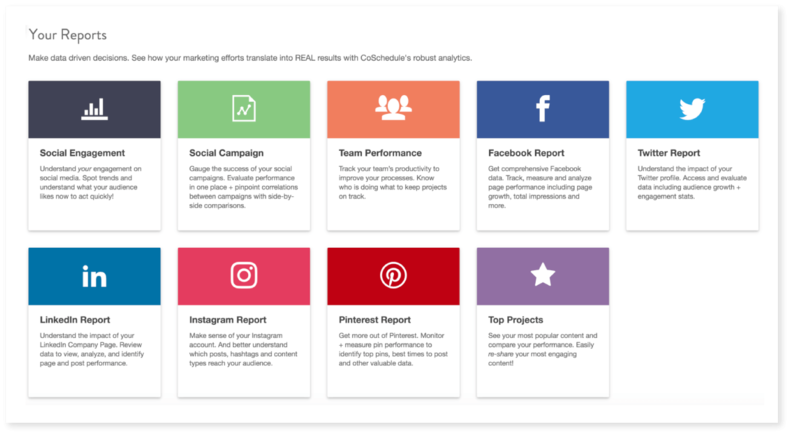 Team Performance Reports help prove your marketers are getting it done. Big things start small. Even effective marketing departments. Equipped with the right knowledge and a scalable process for starting from one hire, and building all the way up to a full-fledged multi-team department though, you’ll be able to mature your marketing alongside your business.